NATO nations have agreed to increase the alliance’s presence in the Black Sea, Secretary General Jens Stoltenberg said after a ministerial meeting of the bloc. “Today, we agreed on two additional maritime measures: an increased NATO naval presence in the Black Sea for enhanced training, exercises and situational awareness, and a maritime coordination function for our Standing Naval Forces when operating with other Allied forces in the Black Sea region,” the secretary general told journalists. “Allies stand together, united and strong,” he added. 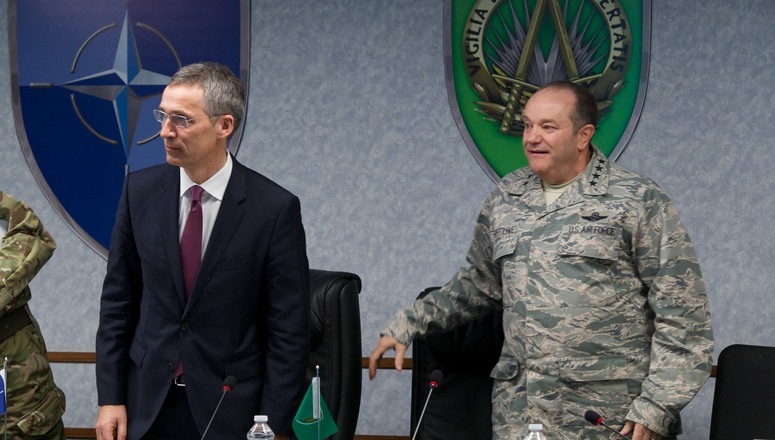 Stoltenberg also announced further modernization of the NATO command structure and reported receiving a request for help from Fayez Al Sarraj, the prime minister of the UN-recognized government of Libya. The alliance has deployed extra troops and military assets near Russia in what it calls deterrence to potential Russian aggression. In January, 2,800 pieces of US military hardware, including Abrams main battle tank tanks, Paladin artillery and Bradley fighting vehicles, and 4,000 troops arrived in Europe. The troops took part in drills in Poland and were then deployed across seven countries, including the three Baltic states, Bulgaria, Romania, and Germany. Moscow sees such deployments as encroachment and has responded with additional deployments of its own troops in the western part of Russia. NATO claims that its intention is to prevent conflict rather than provoke it, but Russia remains mistrustful, citing a long record of moves by the alliance that Moscow considers to be either compromising its national security or violating international law. “The North Atlantic Council has just held a meeting, an extraordinary meeting. And we have been updated by the Turkish Ambassador on the recent events. I have also spoken to Prime Minister Ahmet Davutoglu. Turkey informed Allies about the downing of a Russian Air Force plane violating Turkish airspace. I have previously expressed my concerns about the implications of the military actions of the Russian Federation close to NATO’s borders. This highlights the importance of having and respecting arrangements to avoid such incidents in the future. As we have repeatedly made clear, we stand in solidarity with Turkey and support the territorial integrity of our NATO Ally, Turkey. We will continue to follow the developments on the South-Eastern borders of NATO very closely. I look forward to further contacts between Ankara and Moscow and I call for calm and de-escalation. Diplomacy and de-escalation are important to resolve this situation. Now I’m ready to take your questions. Q (CNN): The Russians are saying the plane was shot down over Syrian territory and never went into Turkish territory. Are you convinced that it was shot down indeed over Turkish airspace and that Turkish airspace was indeed violate[d]? Secretary General: The Allied assessments we have got from several Allies during the day are consistent with information we have been provided with from Turkey. So the information we have from other Allies is consistent with what we have got from Turkey. Q (Kurdish media): Mr Stoltenberg, how could be the situation and your position if tension between Russia and Turkey raised? You said that you are continue looking at developments. How could be your position if tensions continue to rise between Russia and Turkey? Thank you. Secretary General: I’ve think I’ve expressed very clearly that we are calling for calm and de-escalation. This is a serious situation. This is a situation which calls on that we all are prudent and that we all contribute to de-escalating the situation. And that’s also the reason why I welcome further contacts between Moscow and Ankara. There has been contacts and we would welcome even more contacts. To partly to solve this concrete incident, but also to continue to work on the development and also the strengthening of mechanisms to avoid these kinds of situation in the future. Actually, inside the Alliance we are discussing how we can develop better and improved measures for transparency, for predictability, and for risk reduction. Because we have to avoid this kind of incidents. We have to avoid that situations, incidents, accidents spiral out of control. And therefore this is a serious situation, but I think that the new security environment we are facing along NATO borders just underlines the importance of focusing more on predictability, transparency, and different measures to reduce risks. Q (WSJ): What does this say about the ability for Allies to work together with Russia in Syria? Are the tactics just too different? Are the targets just too different? Secretary General: The common enemy should be ISIL. And I would welcome all efforts to fight ISIL. And it is important that all of us, also Russia, is guided by the overarching goal of defeating ISIL. What we have seen is that most of the attacks by Russia so far has been targeted towards targets in parts of Syria where ISIL is not present. So we welcome all efforts to fight ISIL. Our common enemy is ISIL, and therefore I would also welcome all efforts to strengthen the fight against ISIL. Q (Reuters): Wondered if you had any contacts with the Russians or planned any contacts with the Russians over this incident? Secretary General: There has been contacts between Ankara and Moscow, Turkey and Russia but so far there has been no direct contact between NATO and Russia. But we have been in contact with Turkey, a NATO ally, which has directly been in contact with Russian authorities. Q (unknown): Do you have any more clarity as to how the plane was actually shot down because that’s disputed, whether it be surface to surface or surface to air or ground to air missile? The press conference was abruptly ended. More “Kool-Aid” from Stoltenberg. The biggest challenge seems to be telling the truth — but he doesn’t mention that. It’s truly frightening to see the common pool of “official narrative”. On this false foundation, these officials build and promote policy initiatives, and entice other government and military leaders to support them. 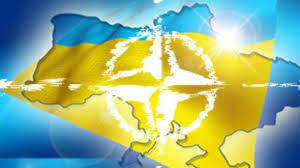 KYIV: NATO is ready to consider the Ukraine’s bid for membership in the alliance, if Ukraine decides to submit it. This has been stated by NATO Secretary General Jens Stoltenberg in Brussels at the forum organized by the German Marshall Fund. “It is up to Ukraine decide whether to submit the bid for NATO membership or not. Ukraine should decide that. If it submits, we will consider the application in the same way as we consider the application of any other country,” Ukrainian media telegraf.com.ua quotes him. In 2015, the units and the individual officers of the Armed Forces of Ukraine will take part in 237 events of the individual partnership program [Individual Partnership Action Program] with NATO. This meeting was convened at the request of Ukraine — by the Kiev government. NATO “allies and partners” accept and protect the violent neo-Nazi leadership of Kiev. They accept and protect the Kiev regime’s violent accession to power, using snipers to kill police and protestors at Maidan. They accept and protect the ethnic cleansing and genocide campaign by the Kiev leadership. They accept and protect naziism and ultra-right extremism. They accept and protect the war crimes done by the Kiev regime, its use of white phosphorus and chemical weapons, and its shelling of civilians. They denounce self-defense and self-protection by East Ukrainians. They denounce self-determination. They denounce civil rights and life. These are our leaders — American, British, and European — and this is what they represent. Euro-Atlantic Partnership Council (EAPC) nations expressed deep concern over the ongoing conflict in Eastern Ukraine, urging Russia to withdraw its forces and its support for the separatists. All members of the EAPC agreed that the full implementation of the Minsk agreement is the only path to a lasting and peaceful solution. Secretary General Stoltenberg stressed that the ceasefire remains fragile and sporadic violations continue. He said that all parties should fully implement the Minsk agreement in good faith, including Russia, whose support for the separatists has further fuelled the conflict. As a first step, he called for a “withdrawal of heavy weapons from the line of contact in a transparent and verifiable manner”, with full access to the OSCE monitors. The NATO Secretary General said that “the stability of the entire Euro-Atlantic region have been undermined, as have the values of national sovereignty and peaceful conflict resolution, values which all members of the EAPC have committed to uphold”. Mr. Stoltenberg underlined that the Basic Document of the Euro-Atlantic Partnership Council contains a joint pledge to promote peace and stability in the Euro-Atlantic area. He called on all EAPC members to respect this fundamental commitment. 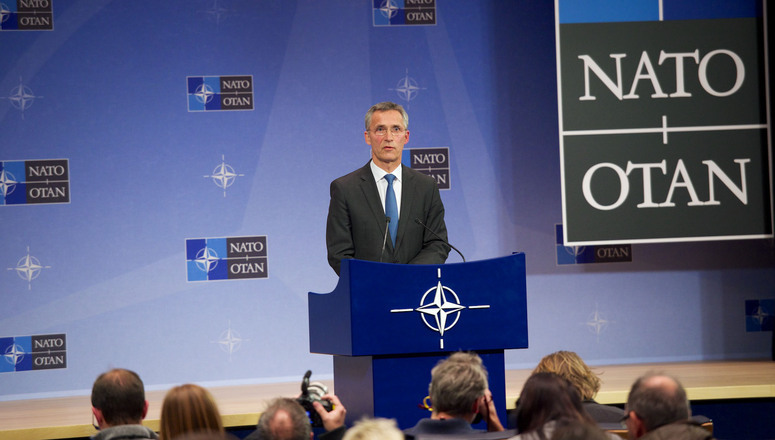 In response to challenges both to the east and the south, NATO is implementing the strongest reinforcement of its collective defence since the end of the Cold War, Mr. Stoltenberg said. “We are doubling the size of the NATO Response Force from 13,000 to 30,000 troops” and “setting up a new 5,000-strong quick reaction Spearhead Force, with some units ready to move within as little as 48 hours.” He added that NATO is establishing six command and control centres in the Baltic States and three other eastern Allies, in order to coordinate training and exercises, and facilitate rapid reinforcements. Thank you, Mr. President, for your warm welcome. We just had an excellent discussion. I want to commend Latvia for the leading role you are playing in European affairs. You currently hold the EU Presidency. You play a key role in NATO’s eastern defences. And you have kindly offered to host one of our new command and control units on your territory. All these contributions are very welcome. I want to reassure you that NATO stands shoulder to shoulder with Latvia. The Alliance’s responsibility is to protect and defend each and every Ally against any threat. And NATO’s support for its eastern Allies, including Latvia, was confirmed at the recent NATO Defence Ministers’ meeting in Brussels. Here, more progress was made in implementing our Readiness Action Plan, including establishing an enhanced NATO response force and a very high readiness Spearhead Force. In addition we continue with assurance measures. 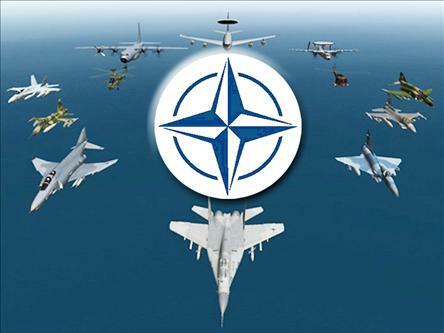 NATO aircraft continue to police Baltic skies. NATO ships continue to patrol the Baltic Sea. NATO forces continue to exercise on the ground. During these challenging times, it is important that NATO Allies spend more on defence, and spend better. And again I want to commend Latvia for your commitment to raise defence expenditure in line with the pledge that we made in Wales. Mr. President, I thank Latvia for all your work during these difficult times. We also spoke about the conflict in Ukraine. The Minsk agreement is the best opportunity for a lasting peaceful solution. What really matters now is implementation of the ceasefire and the Minsk agreement. Today I am deeply concerned by the deteriorating situation in and around Debaltseve. The refusal of the separatists to respect the cease-fire threatens the agreement. As does their denial of access to the area for the OSCE monitors. Russian forces, artillery and air defence units as well as command and control elements are still active in Ukraine. Russia has supported the separatists with forces, training and advanced weapons. And there has been a steady buildup of tanks and armoured vehicles across the border from Russia to Ukraine. 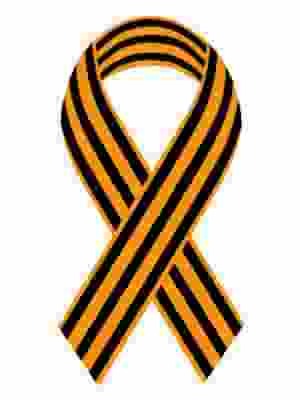 I urge Russia to end its support for the separatists. And withdraw its forces and military equipment from eastern Ukraine in accordance with the Minsk agreement. The separatists should halt all attacks immediately. And allow OSCE monitors full access. I support the call by the UN Security Council to all parties to implement their Minsk commitments. We continue to believe that this agreement is the best way forward to a political solution to the conflict in Ukraine.